The Pin Up Art of Jay Scott Pike, softcover, 2006, 48 pp. 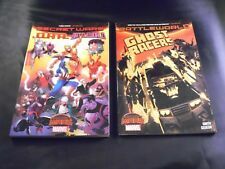 Secret Wars Journal/Battleworld and Secret Wars Ghost Racers Trade Paperbacks! 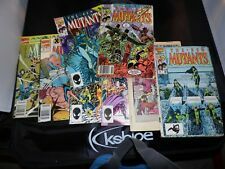 Marvel UK lot Death's Head II #10 #11 and #12 & Die Cut #1 and #2 + extras! Lot of coverless Archie comics. 11 books various titles. See photos! Marvel Spotlight on Ghost Rider Lot #9 #10 and #11 Worn NO STOCK PHOTOS! Marvel Spotlight on Ghost Rider Lot #10 #10 and #11 Worn NO STOCK PHOTOS! 12X18 - Classic Auto Service & Repair Pin-Up Metal Sign New Sealed! 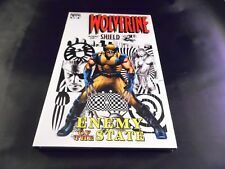 The Tick #2 1988 New England Comics Sharp Book! DC Comics Flashpoint #4 1:25 Andy Kubert Sketch Variant Cover Signed! DC Comics Flashpoint #3 1:25 Andy Kubert Sketch Variant Cover Signed! Amazing Spider-Man #797 McGuiness Design Variant and regular cover! Sharp!